The San Diego Zoo Global Academy is pleased to announce that privately branded training sites are now an option for all zoo and aquarium institutions! While there are advantages to being able to access a collaborative learning environment, we also recognize the desire to have a privately branded training site. Now both are possible. 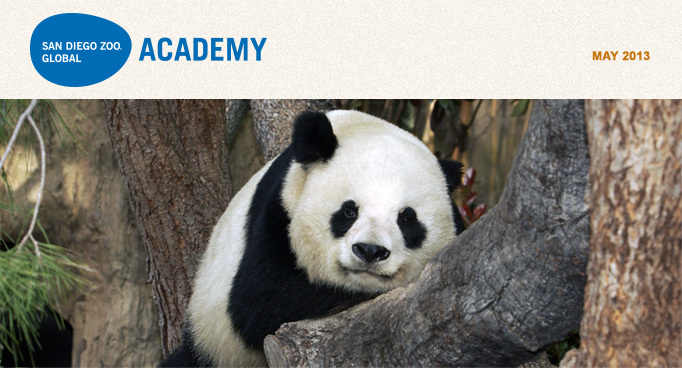 As part of a private site, individual learners also have the ability to toggle to the San Diego Zoo Global Academy site to interact and share with all other Academy member institutions. San Diego Zoo Global has the need for a private site for our employees, as well. We are branding our internal site as My Academy. Our My Academy site administrator, Steisha Ponczoch, will be presenting a FREE webinar on Wednesday, May 22, 2013, in which she will share our efforts and experiences in creating My Academy. 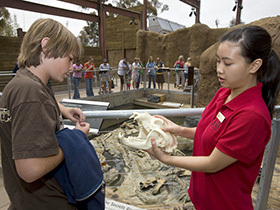 If you are interested, you can also access San Diego Zoo Global’s My Academy Employee Policy. This document is also archived in the Academy’s “Resources” section. Many institutions have a large number of volunteers that need training and an effective way to interact, as well, and the Academy can also offer institutions their own separate, branded volunteer site. We have created one at San Diego Zoo Global, Volunteer Connection, which has been very popular, and you can find out more about this in an archived webinar from our volunteer coordinator, Tammy Rach. See more about our May webinars further down in this newsletter. Would you like to hear more about private sites in particular, or the Academy in general? Are you prepared in the event of a disaster? 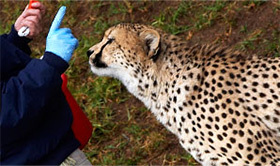 Lessons learned from San Diego Zoo Safari Park’s 2007 wildfires and other emergency situations have been used to create a learning module designed to help you identify the components of a disaster and methods to avert one from happening. 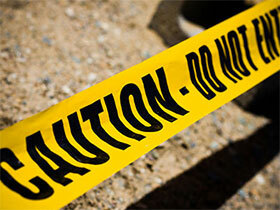 You'll understand what actions should be taken, and ways to communicate during a traumatic event. This $49.99 webinar offers a primer on working with volunteers in different departments, as Tammy shares best practices in training and managing volunteers in a blended learning environment. Attendees will receive a copy of the presentation to begin to build their own Volunteer Management Tool Box. This webinar highlights San Diego Zoo Global’s Roar Longer program, a comprehensive workplace wellness program, and participants will learn the tricks of the trade of building a results-oriented wellness program. San Diego Zoo Global Academy Welcomes the Virginia Zoo! 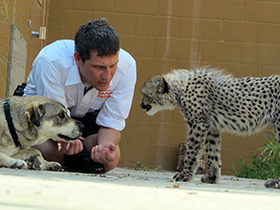 Virginia Zoo is joining the Academy’s collaborative learning environment. The Virginia Zoo will have a privately branded site for their employees, one for their volunteers, and access to the Academy, as well. Welcome! New to the Academy? Wondering how to get the most out of your collaborative learning experience? Chris Glenn, our Academy liaison, is there to help! Schedule a meeting for yourself or for your employees, and Chris will walk you through all the features of this new site. It is sure to get you thinking about how you can best take advantage of all that the Academy has to offer! Contact Chris to set up your meeting today at cglenn@cypherworx.com. Interested in seeing what our courses are like? 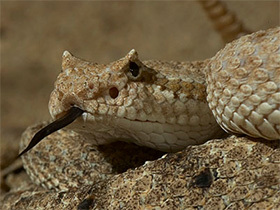 Go to www.sdzglobalacademy.org and select the “Courses” button at the top of the page to preview these courses: Zoonotic Disease, Regulations and Inspection Readiness, Working Safely with Dangerous Animals, and Fundamentals of Animal Learning. Click on the "Learn More" button, then the "View Sample" button. The Academy is continually looking for topics and presenters for monthly webinars. If you have a great idea for a topic, or if you know of a dynamic and exciting presenter, please forward that information to Cypherworx and their webinar specialist, Debbie DiBacco at ddibacco@cypherworx.com.